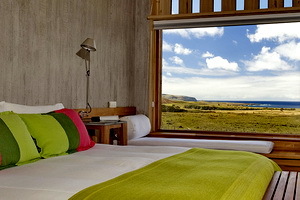 Explora Rapa Nui Hotel, is located on a tranquil spot from which the island's mysteries and dramatic isolation are in full view. 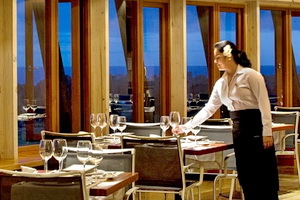 Its award winning architecture blends the island's unique geography and heritage, with its vibrant present. On foot, bicycle or boat, our over 20 explorations unveil the island's unique history and charm. We have over 20 different guided hikes, bike rides and fishing and snorkeling explorations with different difficulty levels ranging from easy to expert, and different durations, half day or full day. Today visitors can share with the descendents of this ancient culture and who preserve their ancestral customs in the face of the advancement of civilization. Volcanic rock, native to the island and always used by the island’s inhabitants in construction, and wood from the mainland are the principal materials. The hotel has 30 guestrooms that spread out from central areas that house reception, living areas, a bar, kitchen and services. 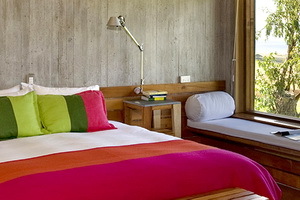 Next to the common areas is the Casa de Baños Hare Vai, with a pool, massage salon and open-air Jacuzzis. 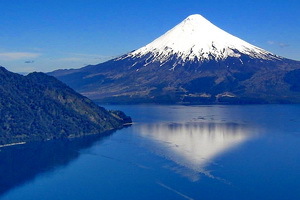 Fly to Santiago via an international flight. 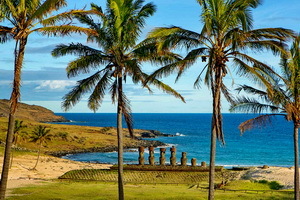 From Santiago, travelers must take a 5-hour flight to Easter Island. 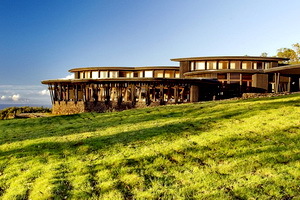 explora staff will greet and transfer guests to the Explora Easter Island. 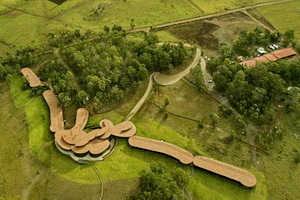 Roundtrip transfer between Easter Island airport and Posada de Mike Rapu. Daily explorations in groups of 8 people maximum, with bilingual guides and equipment. Rates are per person, expressed in US dollars. Duration: 4.5 to 5.5 hours (half-day). Walking 4 to 5 hours. Travel from the Hotel i to Te Peu by van (15 min). Walk along a trail that borders steep cliffs and offers spectacular views. Visit natural bathing pools, cross locally owned fields and view numerous archeological sites. Arrival at Anakena Beach. Picnic on the beach. Return by van to Casas Rapa Nui (20 min). Duration: 2 to 3 hours (half-day). Walking 1.5 to 2.5 hours. Length: 6.5 km. Itinerary: Travel from Casas Rapa Nui to Te Peu by van (15 min). Walk along a trail that borders steep cliffs and offers spectacular views. View Motu Tautara and the astonishing Las Dos Ventanas cave. Arrive at Hanga Roa, first passing Tahai and ending at Pea. Numerous archeological sites along the way. Return by van to Casas Rapa Nui (5 min). Duration: 3 to 3.5 hours (half-day). Walking 2.5 to 3.5 hours. Rapa Nui to Hanga Tetenga by van (15 min). Walk along Ara O Te Moai, the trail once used to transport the moai sculptures; view numerous overturned moai along the way. Climb to Rano Raraku, the moai stone quarry, with views of the interior of the crater. Walk along the volcano’s edge and arrive at the natural rock pools at One Makihi. Picnic lunch. Return by van to Casas Rapa Nui (20 min). Duration: 4 to 4.5 hours (half-day). Walking 3 to 4 hours. Itinerary: Travel from Casas Rapa Nui to Piko Mahore by van (30 min). Walk along an upward sloping trail (300 meters) that borders a steep cliff, and pass through Maunga Parehe and the Maunga Tea-Tea. View the Vai Aheva fountain. Climb to Puka Katike and then walk down to Tongariki to view 15 moais. Return by van to Casas Rapa Nui (25 min). Level: Medium. 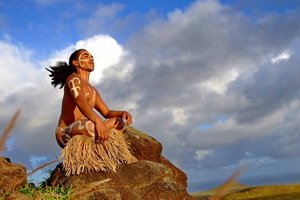 Itinerary: Travel from Casas Rapa Nui to Rano Aroi by van (20 min). The walk begins at Rano Aroi, then climbs from Maunga Kuma to Maunga Terevaka to appreciate spectacular views of the island from its highest point. The trail continues northeast toward Anakena along high coastal ridges that gradually descend to the beach, where guests may swim. Return to Casas Rapa Nui by van (25 min). Itinerary: Travel from Casas Rapa Nui to Vinapu by van (5 min). View Ahu Tahira. Walk along a trail that borders ascending steep cliffs (250 meters), arriving at the edge of the Rano Kau crater. Spectacular views of the ocean and the interior of the volcano. Walk along the crater to Orongo. Visit the significant ceremonial site of Tangata Manu (Bird Man) worship. Return by van to Casas Rapa Nui (5 min). Level: Easy. Duration: 3.5 to 4.5 hours (half-day). Walking 3 to 3.5 hours. Itinerary: Travel from Casas Rapa Nui to Ana Okeke by van (40 min). Walk along a descending trail that borders the northern coast of the island. View Ana Okeke, Maunga Parehe. Fishing cove “La Perousse,” local villagers and archeological sites along the way. Arrive at the Ovahe beach. Return by van to Casas Rapa Nui (25 min). Level: Easy. Duration: 2.5 to 3 hours (half-day). Walking 2 to 2.5 hours. 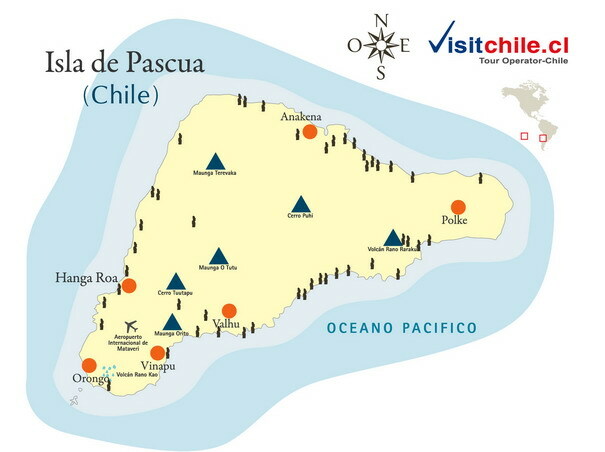 Itinerary: Travel from Casas Rapa Nui to Te Miro Oone by van (15 min). Walk along a trail that offers panoramic views of the southeast side of the island. Climb along Maunga Kahurea and continue along Ara o te Moai. Numerous moai along the trail, arrive at Hanga Te Tenga ahu. Return by van to Casas Rapa Nui (15 min). Duration: 2 to 3 hours by bicycle (half-day). Itinerary: Travel from Casas Rapa Nui to Te Miro Oone on bicycle, along the principal route that crosses through pretty forested sections of the island. Descend toward the southern coast, with views of various motu and archeological sites, following the coastal route until reaching Tahira. Return to Casas Rapa Nui from Vinapu. Level: Easy.